Dinosaurs are a favorite part of history for all youth. Fossils are a delightful way to remind kiddos of the world thousands of years ago. Fossils are evidence of our favorite prehistoric dinosaurs such as the T-Rex. 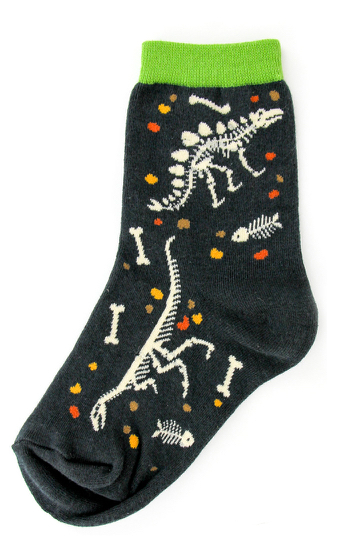 These fun fossil bone socks will intrigue all future paleontologists.